Chase Resourcing have been placing candidates to the Middle East for nearly 10 years! Our team have composed the 10 best reason to move to the Middle East! The Sun- The weather in the Middle East is perhaps the most attractive perk to a successful executive search process in the region. Year-round sun and warmth cover expansive beaches. Hot days lead into relaxing nights. Seldom are days impacted by continuous heavy rainfall.Moving to the Middle East for the sun alone is worth it! Tax Free Salary -This is perhaps the most enticing thing about relocating for a job in the Middle East.Employees can relax knowing that saving money will be easier, particularly once they identify an affordable place to live near their place of work. Opportunities To Travel – The Middle East has much to offer and because transportation is cheap, getting out of town on the weekend doesn’t have to break the bank. The Middle is a great base to travel to most destinations in the world! The Region is Thriving – Culturally, there isn’t a hotter place in the world right now. With the influx of tourists and businesses and the fact that Abu Dhabi is seeing tourism as well as Dubai, the job market is thriving as well. Retail, beaches, dining, and impressive nightlife dominate the region’s activities, and one is never far from an exciting event or place to check out. Petrol Prices – averaging just 3 to 4 % of average salaries, the cost of petrol and transportation is relatively low in relation to other costs of living in the Middle East. Saudi petrol prices are still among the worlds cheapest despite price hikes. Ultra-Modern Cities- Like mentioned before, the Middle East now has many ultra-modern cities that that are pushing the boundaries of the future. Cities like Dubai, Abu Dhabi, Riyadh, and Doha are taking the region into the future with their modern architecture, development, science and tourism. One awesome example is the Palm Islands in Dubai that are man-made islands in the shape of the palm trees and the world. These path-breaking creation triggered the creation of many man-made islands all around the world. Cultural Experience- One off the strongest things about moving to the Middle East is to experience the culture. Despite becoming ultra-modern nations, the Middle Eastern nations have also held on to their rich heritage and culture. And you, as a tourist, can experience this culture. Also exposure to the multitude of nationalities that reside within the Middle East provides a fantastic platform for inhabitants to build their multi-cultural experience and career progression opportunities. Friendships: Moving to the Middle East creates a common bond through shared experience. 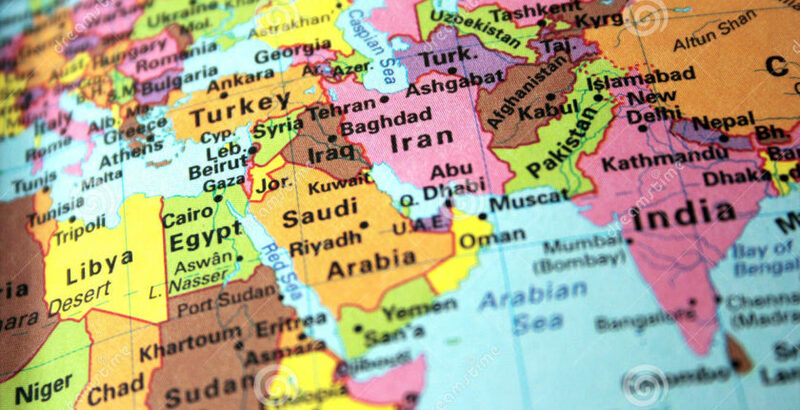 A move to the Middle East can provide an opportunity to meet talented and driven people with shared interests which may become an enduring part of your life. This applies particularly to Arab nationals – trust and respect are not always easy to come by, but once won can lead to a friendship for life. Career Development- Your CV will stand out from the rest when an employer sees that you are willing to relocate to the Middle East. Future employers will see that you have done so successfully. Plus, you’ll have an extensive network of professional contacts gained while in the Middle East to help you take the next step. English Speaking – The language barrier is removed in most cases in the Middle East as alot of business is conducted in English, making it easier for expats to integrate into society. English is commonly taught and used as a second language, especially among the middle and upper classes, in countries such as Egypt, Jordan, Iran, Kurdistan, Iraq, Qatar, Bahrain, United Arab Emirates and Kuwait.